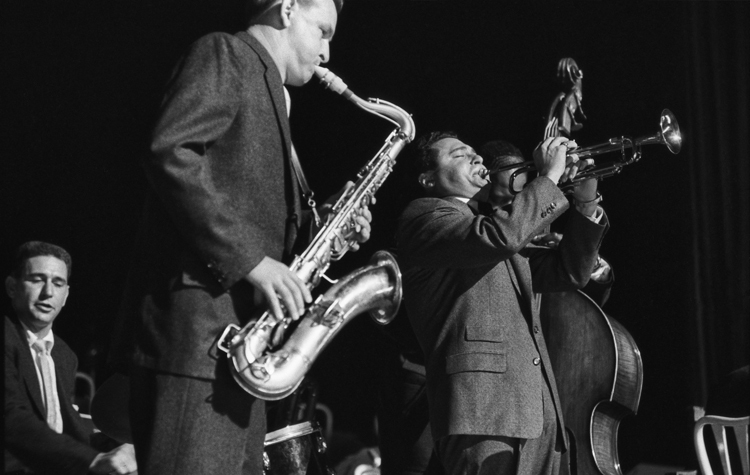 Shelly Manne, on drums, comes to town with his wailing cool jazz ensemble. 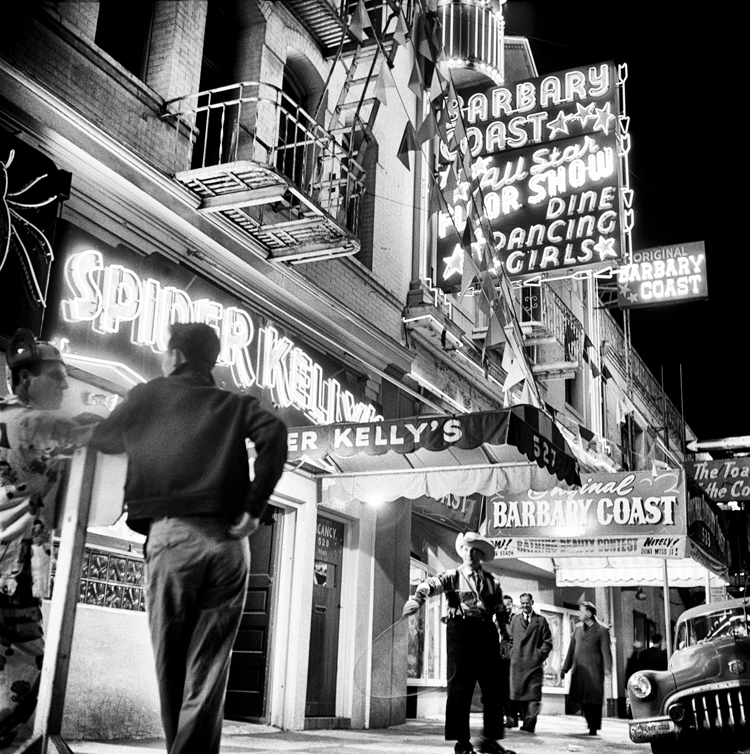 In the 1950s, the Barbary Coast was a raucous district of S.F. nightclubs and worse. Right: Go-go dancer does the Swim at the start of the swinging sixties. 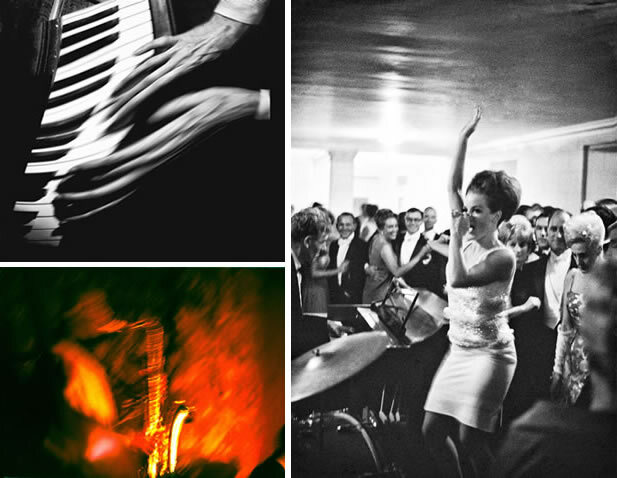 Top left: Jazzman Denny Zeitlin fingers the keys in an arty shot. Bottom left: Sonny Rollins manhandles the tenor sax at San Francisco's old Basin Street West. So more and more often, Lyon found himself turning the camera on its side to shoot verticals for Life's vertical pages. "I happen to like vertical," he says, "especially living in San Francisco, there are a lot of vertical subjects here." Lyon also diversified, shooting for the New York and Philadelphia ad agencies he'd gotten to know while living in the Big Apple, along with editorial work for magazines, "because advertising had very large budgets," he says. "Editorial was not enough to keep us afloat." Lyon also spent hours, days, weeks shooting 'stock' photos—city scenes, lovers holding hands, kids playing in the street—that would sit in an agent's files till some magazine or ad agency came around looking for such a shot.